Israeli Prime Minister Benjamin Netanyahu’s speech was warmly received by Democrats and Republicans in Congress on Tuesday. According to ABC News, he received 29 standing ovations during his address—four more than President Obama received during his State of the Union address earlier in the year. However, there was at least one dissenting voice inside the halls of Congress on Tuesday. Rae Abileah, a Jewish-American activist of Israeli descent with the peace group CodePink, disrupted Netanyahu’s speech. Standing in the congressional gallery, she yelled, “No more occupation! Stop Israel war crimes! Equal rights for Palestinians! Occupation is indefensible!” As she screamed, members in the audience tackled her to the ground, and undercover security forces later dragged her outside. She was taken to George Washington University Hospital where she was treated for neck and shoulder injuries. At the hospital, police arrested Abileah and charged her with disorderly conduct for disrupting Congress. Her protest came as part a week-long series of actions organized by CodePink called Move Over AIPAC. We speak to Abileah about why she used nonviolent civil disobedience to disrupt Netanayahu’s speech. AMY GOODMAN: Israeli Prime Minister Netanyahu’s speech was warmly received by Democrats and Republicans in Congress. According to ABC News, Netanyahu received 29 standing ovations during his address, four more than President Obama received during his State of the Union earlier this year. However, there was at least one dissenting voice inside the halls of Congress Tuesday. RAE ABILEAH: No more occupation! End Israeli war crimes! No more occupation! End Israeli war crimes! AMY GOODMAN: That was Rae Abileah, a Jewish-American activist with the group CodePink. She was disrupting Netanyahu’s speech. Standing in the congressional gallery, she was yelling, "No more occupation! 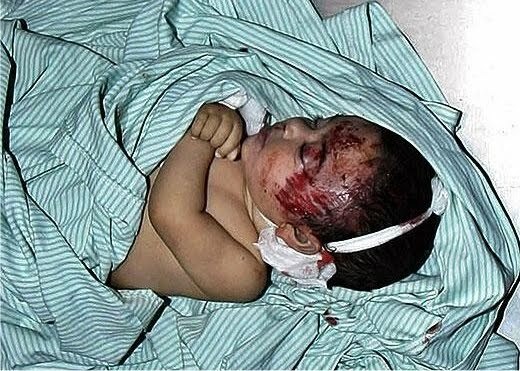 Stop Israel war crimes! Equal rights for Palestinians! Occupation is indefensible!" As she was screaming, members in the audience tackled her to the ground. Undercover securityforces dragged her outside. She was taken to George Washington University Hospital, where she was treated for neck and shoulder injuries. At the hospital, police arrested Abileah and charged her with disorderly conduct for disrupting Congress. Her protest came as part a week-long series of actions organized by CodePink called Move Over AIPAC. Rae Abileah is joining us in Washington, D.C. Explain your protest yesterday, Rae. RAE ABILEAH: Thanks, Amy, for having me on. Yesterday I stood up and unfurled a banner and spoke the truth about what’s going on in Israel. The war crimes and occupation, oppression and inequality that Palestinians are suffering from must end. And it was absolutely despicable to see our Congress pandering to Netanyahu as if he was the president of the United States. And I think after seeing the speech, every American should be outraged, and the progressive community needs to rise up and take courage and take action for justice, democracy, freedom and equality, in the Middle East as well as here at home. I think that the act I took of courageously standing up in front of Congress doesn’t—the opportunity to do that doesn’t come along very often. But every day, as Americans, we have an opportunity to stand up. And whether it’s putting our money where our hearts are, by participating in economic pressure against Israel through the Boycott, Divestment and Sanctions movement, or calling our Congress people or taking other actions, it’s time for us to say no to this terrible policy that, just as Dr. Barghouti has illustrated, will not bring about peace. Netanyahu proved yesterday that he is the primary obstacle to peace and justice for Israelis and Palestinians. And to see our Congress giving away three billion of our tax dollars every year to Israeli war crimes, while our economy suffers, while our kids can’t go to college, while our needs aren’t being met here at home, is absolutely an outrage. RAE ABILEAH:—it was by members of AIPAC. Yes? AMY GOODMAN: What were you just saying? You were tackled by members of AIPAC? RAE ABILEAH: I just wanted to say that the people that were sitting around me in the gallery of Congress yesterday were mostly wearing badges from the AIPAC Israel lobby conference. And I did not expect that people holding such power and representing such a huge lobby group would respond so violently to my peaceful disruption. And after I spoke out, Netanyahu said, you know, "This is what’s possible in a democracy. And you wouldn’t be able to get away with this in other countries like Tunisia." And I think that is ridiculous and absurd. If this is what democracy looks like, that when you speak out for freedom and justice, you get tackled to the ground, you get physically violated and assaulted, and then you get hauled off to jail, that’s not the kind of democracy that I think I want to live in. AMY GOODMAN: Ha’aretz newspaper in Israel identified you as a Jewish-American activist of Israeli descent. Is your family from Israel? RAE ABILEAH: My father’s family is from Israel, yes. AMY GOODMAN: And what does it mean for you to speak out? Often in this country, the Jewish community is portrayed as monolithic when it comes toward—to dealing with Israel policy and supporting the Israeli government. Your thoughts on that? And what does it mean for you to speak out, with your family from Israel? RAE ABILEAH: I’ve been to Israel, the West Bank and Gaza several times. And after witnessing the destruction, the Jewish-only roads, the wall, the bombing of Gaza and the inequality there, I feel like, when I returned to the U.S., I had no option but to speak out for justice. And I feel this tremendous responsibility as a Jewish American to speak out for justice and against these war crimes that are being committed in my name as a Jew, as a U.S. taxpayer. RAE ABILEAH:—and say that it’s not in the best interest of any faith to do this. AMY GOODMAN: I want to thank you for being with us, Rae Abileah, peace activist with the group CodePink, who was tackled yesterday as she shouted out during Prime Minister Netanyahu’s address to a joint session of Congress. S.Paul note: American leadership has become so obsessed with the drive to destroy the Nation of Islam that they are purposely ignoring the crimes against humanity that Israel is committing against Palestine. This agenda has become the single focus of our Government and the justification for our National "Defense" expenditures which have led to our current fiscal dilemma. This next clip describes how even our national media has joined in this initiative to mislead us all with hope that We the People will blindly, under the false flag of Patriotism, support America's own Global crimes against humanity. The man who explicitly said he would do his level best to destroy the Oslo Accords suddenly says he's in favor of peace with the Palestinians. It was an address with no destination, filled with lies on top of lies and illusions heaped on illusions. Only rarely is a foreign head of state invited to speak before Congress. It's unlikely that any other has attempted to sell them such a pile of propaganda and prevarication, such hypocrisy and sanctimony as Benjamin Netanyahu did yesterday. The fact that the only truth spoken in the Capitol was that of a former Israeli shouting "equal rights for Palestinians" is a badge of honor for us and a mark of shame for America. Netanyahu's "speech of his life" was the speech of the death of peace. It was a 1970s show. Maybe back then people still bought the piles of pretty, wise words shoveled by a peace-loving Israeli prime minister. How can an Israeli prime minister dare to say his country "fully supports the desire of Arab peoples in our region to live freely" without spitting out the entire bitter truth - as long as they aren't Palestinian. Suddenly Netanyahu marvels at the Arab Spring, but where was he when it began? He was on his standard scare campaign, warning of the dangers of an extremist Islamic regime and rushing to build a fence along our border with Egypt. And yesterday, suddenly, it's "the promise of a new dawn." Apparently there is no end to hypocrisy. And how could he rain praise on Israeli democracy when his government has done more than its predecessors to deal the mortal blow to that democracy, to pass completely anti-democratic laws? How can he boast of the status of Israel's Arab citizens, while his right-wing, nationalistic coalition is passing racist laws against them? Saying that Israel's Arabs have more freedom in Israel than in any Arab state is like saying that blacks in American have more rights than those in Africa. So what? Does that mean that African-Americans had equal rights for generations, that they didn't have to fight for their rights? And how dare he speak about freedom of worship in Jerusalem at a time when hundreds of thousands of Palestinians have been denied that freedom for years. Freedom of worship in Jerusalem is for Palestinians aged 35 and up, sometimes 45 and up; sometimes even 65 isn't old enough. And for the 2 million people of the Gaza Strip, there is no such freedom at all. How can Netanyahu praise the peace with Egypt, when it's easy to guess he would have voted against it? The man who explicitly said he would do his level best to destroy the Oslo Accords suddenly says he's in favor of peace with the Palestinians. Last night we saw that the Americans will buy anything, or at least their applauding legislators will.